I’ve had a lot of good reviews for The Lords of Midnight so far. The support from the on-line press has been staggeringly good. 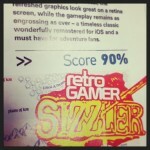 But I felt very different when I was handed a copy of this months Retro Gamer. 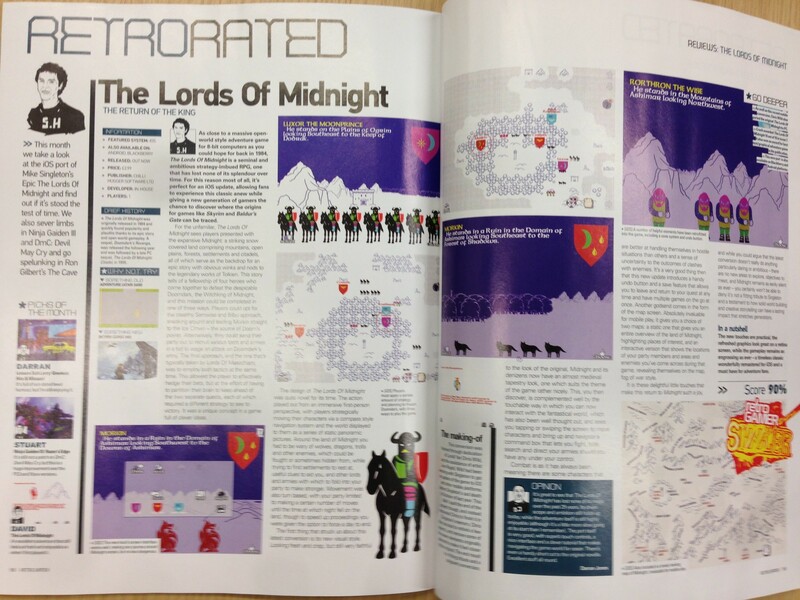 It includes a two page spread review, and the game is awarded 90%, A Retro Gamer Sizzler. I think that part of it was that it’s the first printed review that I’m aware of. 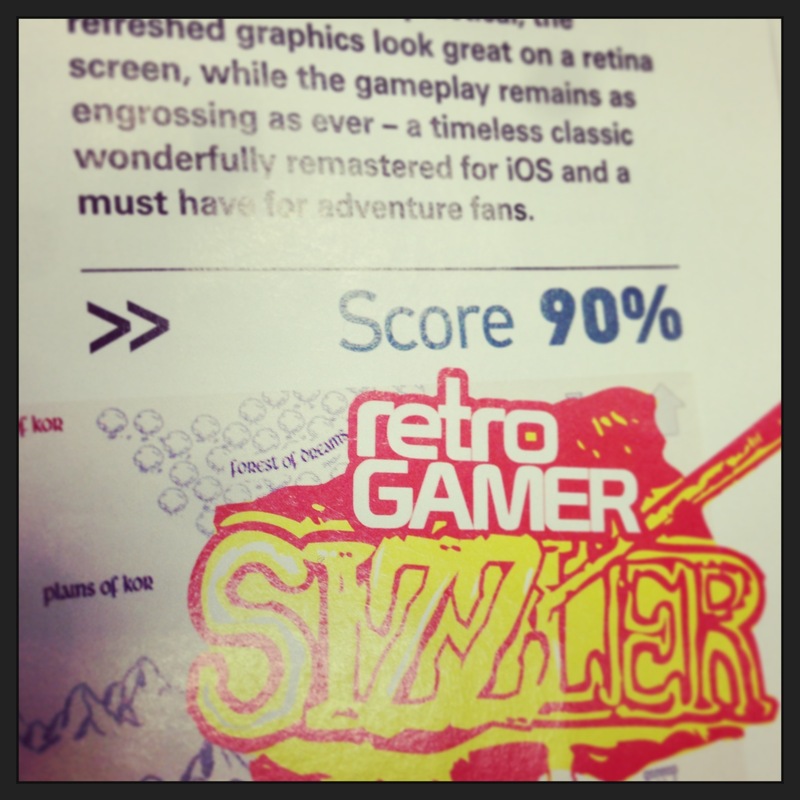 But I think the main thing is that it feels old school, a printed review with a Crash Smash style award. It feels right. Holding the magazine in my hands made me feel really good. It feels properly retro! “The new touches are practical, the refreshed graphics look great on a retina screen, while the gameplay remains as engrossing as ever – a timeless classic wonderfully remastered for iOS and must have for adventure fans” – 90%, Retro Gamer Sizzler – Retro Gamer.